The official introduction is said to be scheduled aboard the Hetman Sagaidachny frigate on 2 April. Ukrainian President Petro Poroshenko has replaced Rear Adm Serhiy Hayduk with Lt-Gen Ihor Voronchenko, the Dumskaya website has quoted its sources in the General Staff as saying. It said the official introduction was scheduled to be held on 2 April aboard the Hetman Sagaidachny frigate moored in Odesa. Hayduk has faced a lot of criticism recently for his performance at the helm of the national fleet. 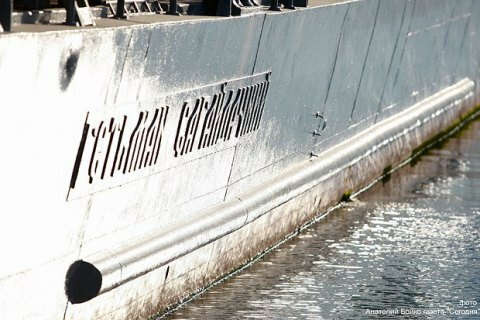 Earlier, Navy serviceman Ihor Rulyak who accused Navy chief Serhiy Hayduk and the Command of embezzling the fleet's property, ruining of ships and nepotism, was barred from spending the night at his military unit. President expects new coalition to be formed "in several hours"